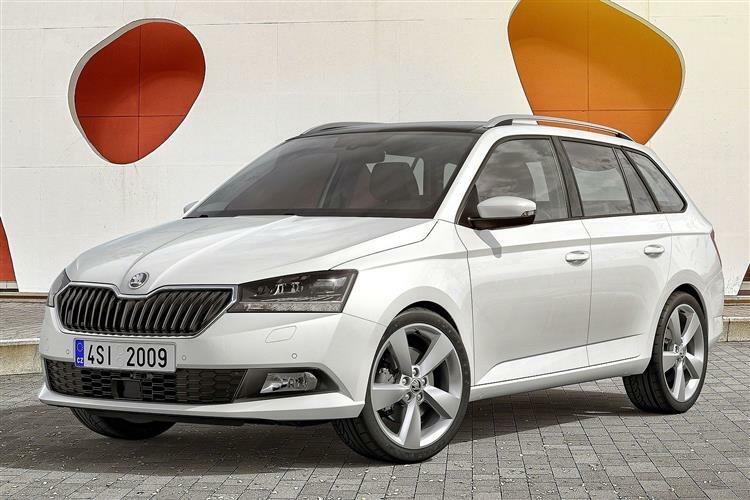 Don't overlook the estate version of Skoda's much improved third-generation Fabia. It's small, but not that small - as Jonathan Crouch reports. 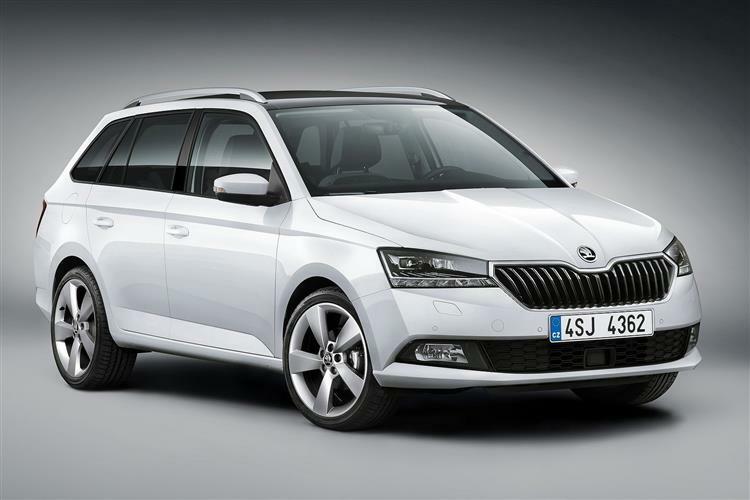 Skoda's improved third generation Fabia estate offers more load space than any other supermini wagon, a massive 530-litres with the rear seats still in place. It's keenly-priced, well-styled and rides on a modern chassis. In other words, it's got all the ingredients to be the class best. There's not a whole lot in the motoring world that projects less glamour than a Skoda Fabia Estate. It's not something that will have too many people's pulses spiking at the prospect of getting behind the wheel. In most cases it will be a purchase based on a set of keenly researched and wholly objective criteria; a tool for a job. 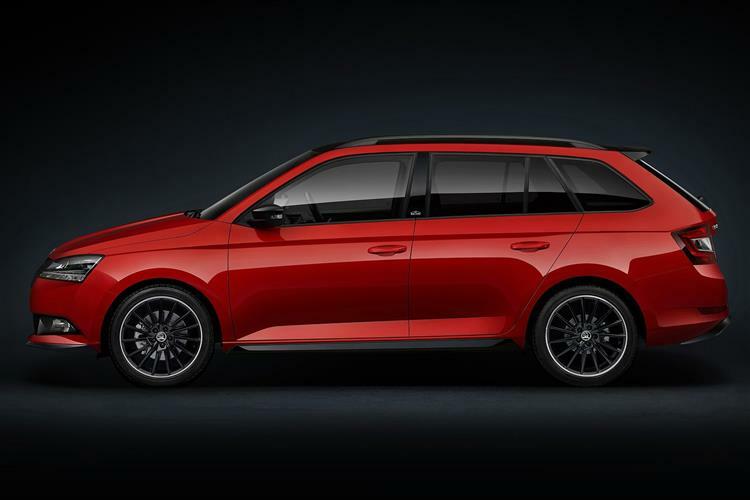 While this might sound like we're talking the latest Fabia Estate down, there is a definite appeal in its sheer pragmatism. If you want a supermini-sized car that can carry 530-litres of luggage in the boot, your choice narrows down to one - this car. And, far from being a distress purchase, the Fabia Estate actually has a lot going for it other than mere cubic litres of fresh air out back. 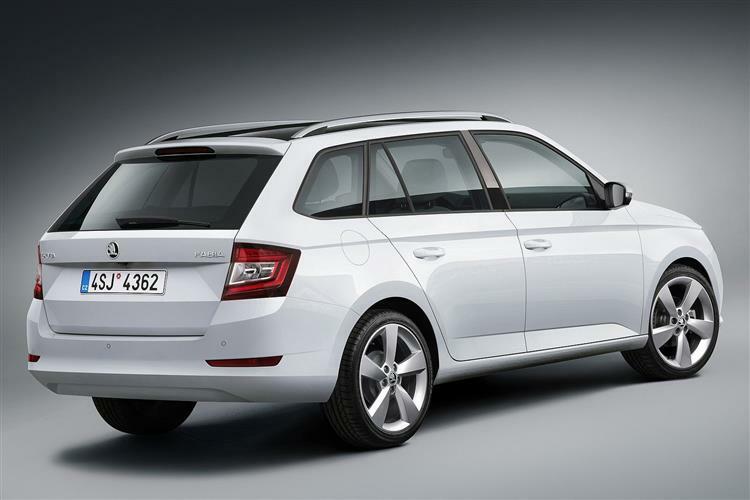 The Fabia estate rides on a version of the Volkswagen Group's MQB platform, but it's not the full monte. Instead, the central structure is MQB with some front and rear structures from the PQ26 chassis, so it's a bit of mix and match. 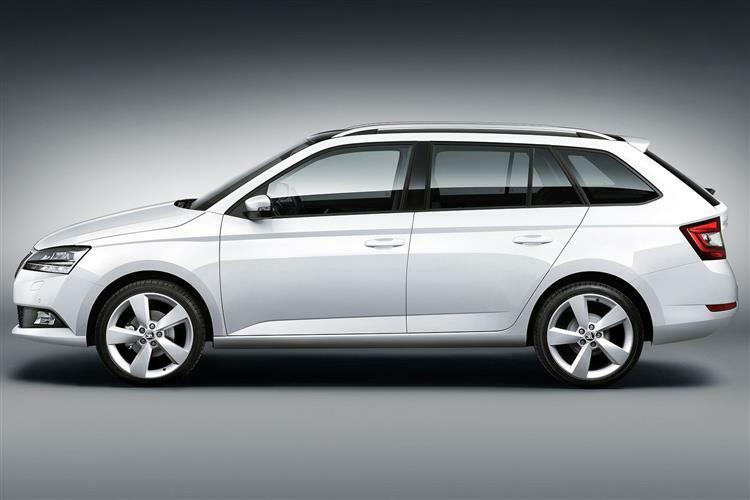 The wheelbase here is the same as the Fabia hatch, with a longer rear overhang delivering the extra carrying capacity. Engine-wise, all of the units on offer are now three cylinder petrol-powered engines, Skoda deciding that the market for diesels amongst supermini buyers is now defunct. There's a base 75PS 1.0-litre MPI normally aspirated powerplant, but the engine to have, if you can stretch to it, is the 1.0-litre TSI turbo, available with 95 or 110PS. The perkier unit can be matched with 7-speed DSG auto transmission. Even the base TSI variant gets to 62mph in 0.6s en route to 115mph. The pokier version improves these figures to 9.5s and 122mph. On the move, Skoda has worked hard to endow the Fabia with a supple ride, decent body control and low-effort steering. Once you've made the right engine choice, you'll get yourself undemanding transport that on occasion can offer up a few driving rewards. Despite the addition of an XDS+ electronic differential system that aids corner turn-in, these benefits won't really manifest themselves if you're the kind of person who likes to drive on your doorhandles. But then if that's your preference, you probably wouldn't be looking at a Fabia in the first place. The Fabia Estate manages to avoid the look of many supermini estates, namely that they've reversed into a greenhouse and tried to escape the scene of the crime. 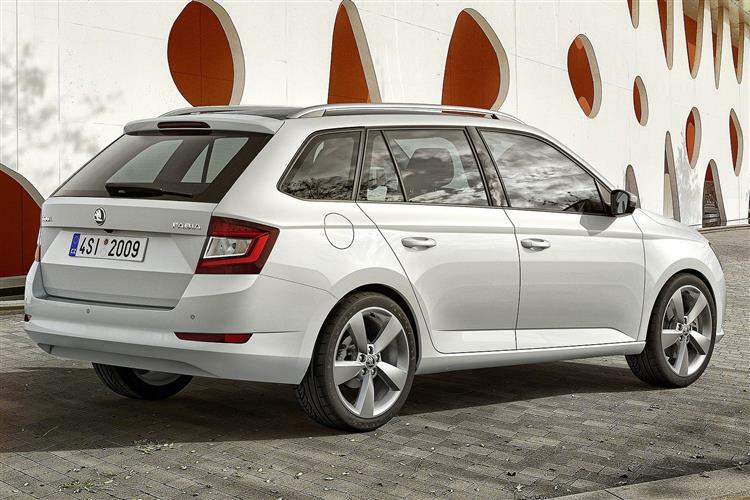 Instead, it's a neatly integrated thing and you might need to look twice to figure out that it is an estate model rather than another Skoda model with a longer roof, such as the Rapid. As for the visual changes made to this revised version, well front and rear design updates deliver a smarter appearance and there are more stylish wheel designs of up to 18-inches in size. Shaplier headlights and front fog lights with sleeker outlines and state-of-the-art lighting technology also freshen up the look, LED headlights and LED rear lights being offered for the first time. Inside, there's a redesigned instrument cluster, smarter trim strips for the dashboard and two-tone finishes for the seats to update the interior. And practicality? 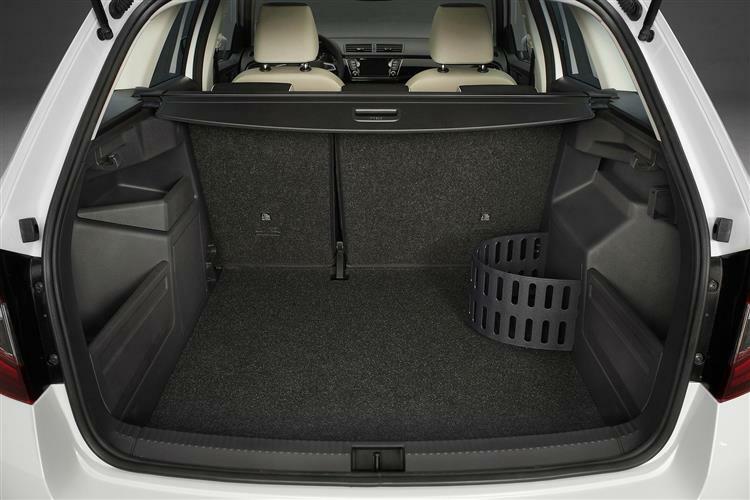 Well the Fabia estate's boot volume of 530-litres (with the seats up) makes it the most spacious in the sector, while its maximum load volume of 1,395-litres puts rivals in the sectors above to shame. The 960mm loading floor is now wider than rivals can offer, while the tailgate opens to 1,900mm and is 1,028mm wide. The loading sill is only 611mm high, making loading the car up easy. There's a £1,000 premium to own this Estate model rather than the Hatchback variant and prices start at around £14,000. There are five familiar trim levels; 'S', 'SE', 'SE L', 'Monte Carl'o and 'Colour Edition'. A key improvement made to this revised model is the addition of the brand's 'Swing' centre-dash infotainment monitor, a 6.5-inch display that also allows drivers to use the full range of mobile online services from 'Skoda Connect'. The 'Connect' package consists of two things; 'Infotainment Online' gives you online traffic information and can update you on things like fuel prices, parking spaces, current news and weather. Then there are the so-called 'CareConnect Services' which allow you to monitor your car from your smartphone, plus the set-up includes a breakdown call function and will automatically alert the emergency services if the airbags go off in an accident. Further up the Fabia range, buyers are offered the more sophisticated 'Amundsen' navigation system, which features an Online Traffic Information service with real-time information on traffic hold-ups. Meanwhile, innovative SmartLink+ technology makes it possible to enjoy all the benefits of the Apple CarPlay, Android Auto, MirrorLink and SmartGate standards. There have been some safety additions too, including Blind Spot Detection and a Rear Traffic Alert system that monitors what is going on behind the vehicle and warns of a risk of collision when reversing. Another newly available feature is Light Assist, which automatically switches to low beam as soon as the system detects oncoming traffic or vehicles ahead. The 1.0-litre engine turns in some excellent economy figures. In the old Fabia 1.2 TSI, you could count on around 61mpg from the 1.2-litre unit; now with the 95PS 1.0-litre TSI variant, you're good for 65.7mpg with emissions dropping to just 99g/km. Go for the pokier 110PS unit and you're looking at 64.2mpg and 101g/km. Or 62.8mpg and 104g/km for a DSG auto model. That means that in the real world, a 1.0-litre TSI petrol-powered Fabia could easier end up being more economic overall than some supermini diesel models. Fabias have always held very firm when it comes to residual values, used buyers valuing the Volkswagen Group input and resolute build quality. Insurance has also been very cheap, reflecting the mature owner profile. 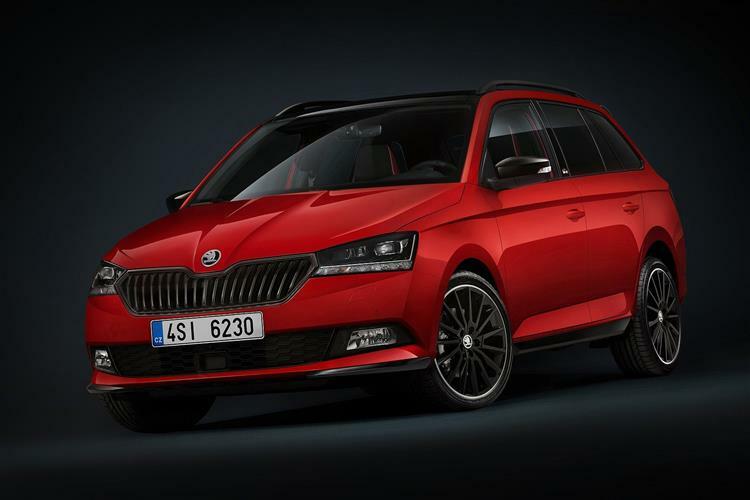 Will that change now that Skoda is aiming at a younger demographic? We'll have to wait on that one. It's easy to underestimate the importance of the Estate to the Fabia product line. Here in the UK, it's often perceived as a very minority-interest niche body style, but it has actually accounted for a full quarter of domestic Fabia sales. More than 1.1 million examples have been shifted worldwide. In other words, this wasn't a model that Skoda could afford to get wrong. The third generation model has proved to be exactly what owners would have hoped for. It offers the usual Skoda qualities of sound efficiency, excellent practicality and solid engineering backed up with decent value, an improved interior and mature, cohesive styling. The Fabia Estate doesn't actually have too much competition to dust down. The biggest-selling superminis in the sector such as the Ford Fiesta, Vauxhall Corsa and Volkswagen Polo don't offer estate variants, which really opens the way for the Fabia to clean up. As indeed it should. Sometimes sensible is exactly what's required. 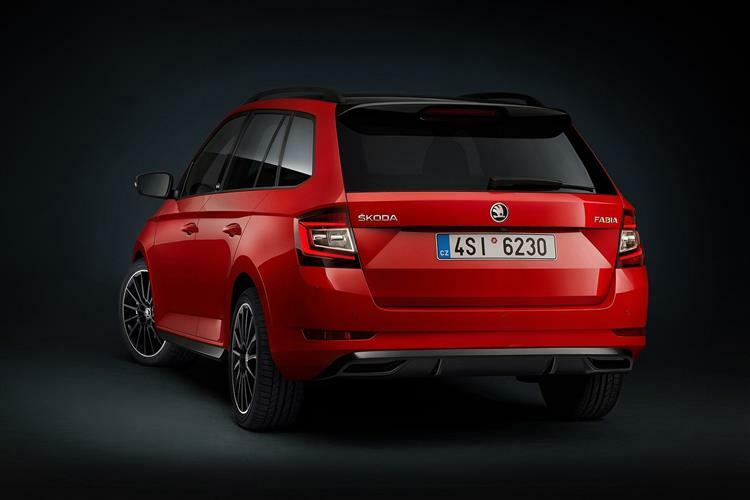 Skoda's counting on it.